Mayawati has truly set the cat among the pigeons by proposing to split Uttar Pradesh into four states. The sprawling Indian state has 200 million inhabitants. The Uttar Pradesh chief minister now says that her state is too large to be governed efficiently. Her proposal may be a political move ahead of the state elections, but it reopens the debate on the size of our states at a time when the agitation for a separate Telangana state has also gathered steam. Ambedkar proposed a fundamental principle: every state should be unilingual to protect the unique linguistic cultures of India. He argued against mixed-language states. However, Ambedkar also added that this does not mean that every linguistic group must necessarily be clubbed into one state. There could be two or more states with the same language. Ambedkar feared that the combination of Hindi speakers into massive states would upset the balance between different parts of the country: consolidation of the north and Balkanization of the south, as he termed it. That was also one reason (along with defence considerations) why he suggested that Hyderabad should become the second capital of India. “The solution lies obviously in adopting some standard for determining the size of a state. It is not easy to fix such a standard. If two crores of population be adopted as a standard measure, most of the southern states will become mixed states. The enlargement of the southern states to meet the menace of the northern states is therefore impossible. The only remedy is to break up the northern states of UP, Bihar and Madhya Pradesh," he wrote. Of course, Ambedkar was not asking for the division of the large northern states alone. He also argued that Maharashtra, his home state, should be split into three components, as well as the creation of a city-state in the erstwhile Bombay, though it would be a Marathi state because, he contentiously argued: “Bombay is a home only to the Maharashtrians and none else." But he did not spare the Maharashtrians either. “Can Bombay be prosperous under Maharashtra? This in other words means: can Maharashtra provide the capital necessary for the growing trade and industry of the city? No Maharashtrian can answer this question in the affirmative… What would be the effect on the standard of living of Maharashtrians living in Bombay if the city’s prosperity declines either by flight of capital or removal of business houses? The Maharashtrians must not forget, however it may hurt their pride, that they are a nation of clerks and coolies. What employment can they get in a declining city?" 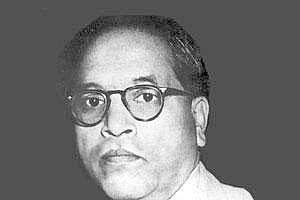 “Into how many states a people speaking one language should be cut up, should depend upon (1) the requirements of efficient administration, (2) the needs of the different areas, (3) the sentiments of the different areas, and (4) the proportion between the majority and minority," Ambedkar wrote. His ballpark estimate was that an average state should have a population of about 20 million, though that seems to be an impractical rule in these times. Seventeen on our current 29 states have populations in excess of that number. Ten states have more than 60 million people. At the time the big debates on state reorganization were being fought, most Indian states had far smaller populations. Of the 16 states that the states reorganization committee had recommended in 1955, only Uttar Pradesh had a population in excess of 60 million. Only Bombay state (a combination of parts of Maharashtra and Gujarat) had a population of over 40 million. Of the other dozen, eight states had a population of between 10 million and 20 million, and another four states had a population of between 20 million and 40 million. A lot of what Ambedkar wrote seems politically incorrect, but he was never one to let such niceties come in the way of logical thinking. His core arguments continue to be of contemporary interest, though the bigger issue today would perhaps be the consolidation of the Union government in New Delhi and the Balkanization of the states. The Union government has already muscled its way into areas that are constitutionally reserved for the states, a fear voiced by many chief ministers. In October, Tamil Nadu chief minister J. Jayalalithaa complained during the National Development Council meeting that New Delhi was reducing the states to “glorified municipal corporations" through its continuous interference. Other chief ministers such as Nitish Kumar of Bihar and Narendra Modi of Gujarat made similar complaints. Against this backdrop, even smaller states could increase these federal tensions, as the relative power of New Delhi could increase. More than 50 years after the initial debates, is a new discussion on the size of states and their powers on the horizon?